Cluster beans is known as gwaar in Sindhi. 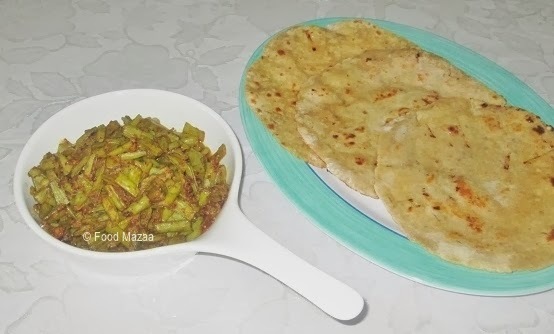 This is a very simple and traditional Sindhi preparation made with the basic spice powders, crushed anardana (pomegranate seeds) and lot of freshly crushed garlic. It is usually served with phulkas / jowar or bajre ki roti. Salt .......................... to tasteOil ............. 2 tbsps. 1. Cut the gawar into small pieces. Boil it adding salt and a pinch of baking powder to retain the green colour. Drain the water and set aside. 2. In a pan heat the oil and add the crushed garlic and green chillies. Stir fry and add the dry spice powder and crushed anardana. 3. Stir in the boiled gawar and mix well. delicious recipe...lovely presentation...will definitely try this ...thanks for sharing. Lovley step by step pics...delicious. 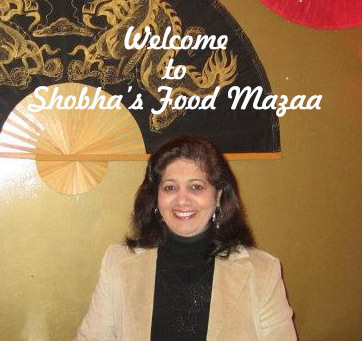 Simply delicious, thanks for sharing..
Shoba,All this while I was under the impression I am following your blog,Sindhi Food is always on the top of my mind....so I have been wondering why I don't get to see your posts in the reading pane,like I do for all the blogs that I follow,and I realized I was not an official follower of your blog:( My bad.... anyways I have added myself to your list of followers. 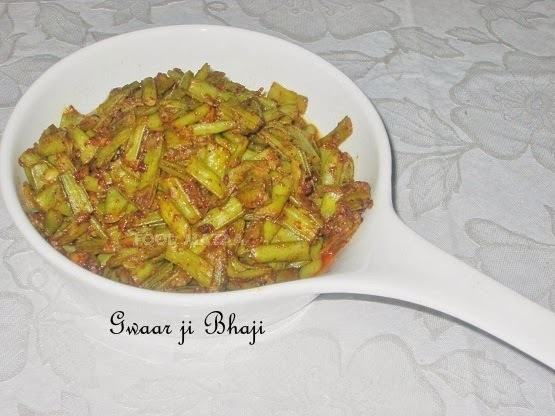 Now about the gwar ji bhaji....I cannot even remember when I had this last,but your post brought back long missed flavors.I cook it exactly the same way,and I am missing it soooo much now:( Guess I will have to travel to new jersy to buy it.My neighbor hood indian grocer does not carry gwar. Had to bookmark it, love the idea. Thanks.. hope they like it. hi shoha, thanks for your answers, i learn a new word-palak is spinach :) i want to try do the paneer, cos its a popular ingredient in indian cooking.. would be a waste not to try. Wow.. Thanks Reshmi .. I am honoured !